I love this time of year! I love the the sweet times with family, the special memories with friends, the scents of freshly baked treats, the crisp breeze (okay, so in southern California that's not exactly true, but I like to imagine), the extra lights and sparkle all over, and the magic that seems to fill the air. I am so very thankful for a few extra days of love and laughter to consider and be thankful for all that I have! As I was writing some Thanksgiving cards to my students, their families, my teacher team, my friends, and my family to thank them for all that they are and do, I was overcome with gratefulness for all the joy and sparkle they bring to my life. Though cliche and corny, especially in this past year, even in the darkest of times, these ones most dear shine brightly and give a glimmer of hope! I am also extremely thankful for my teacher friends, those I work with, those I know, those I've met in real life via social media, and those I've only interacted with online! Your incredible ideas, wealth of knowledge, inspirational quotes, "real" posts about teacher life, and much more have been such an encouragement to me! Your sparkle allows other teachers to sparkle and shine as well!! 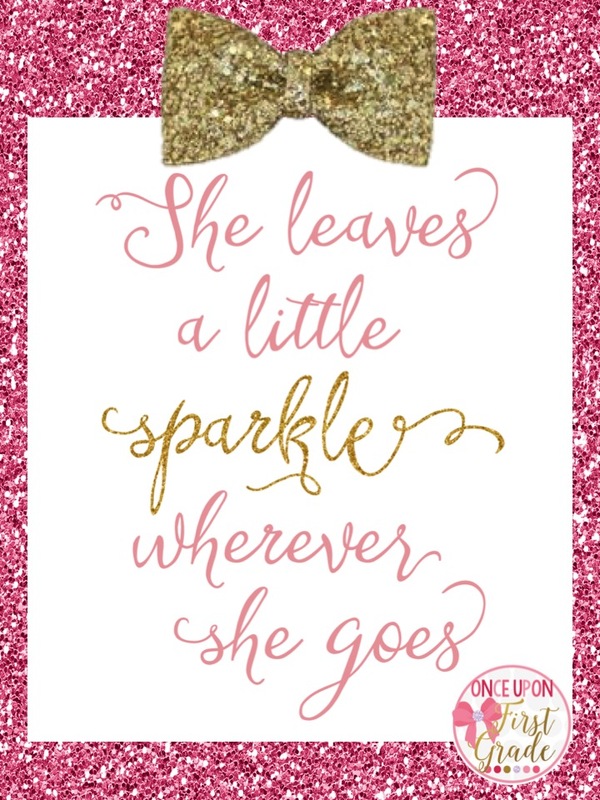 I wanted to pass along some of that sparkle to you all!!! I am excited to join some teacher friends to celebrate Teachers that Give! We'd like to thank you for being a teacher who always gives their best to their students, school communities, and much more! We'd like to take the opportunity to give back to you! 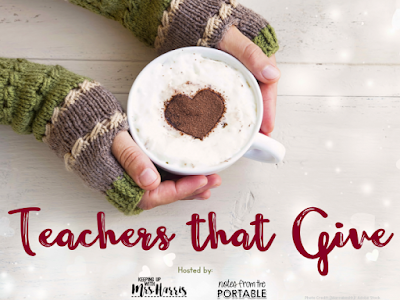 Join us by checking out our blogposts with lesson ideas, freebies, and over $250 in giveaways!!! To continue to add to the sparkle, I wanted to share a few glittery New Year's products that you can use with your students! The first is a holiday photo frame tag FREEBIE! 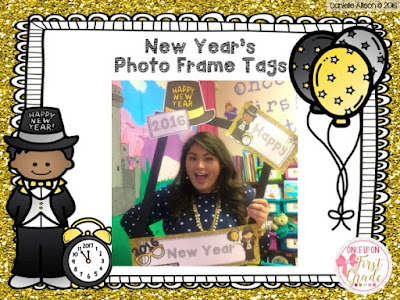 Simply cut out the parts, tape to a photo frame or sticks for photo props, and allow your students to celebrate the new year! 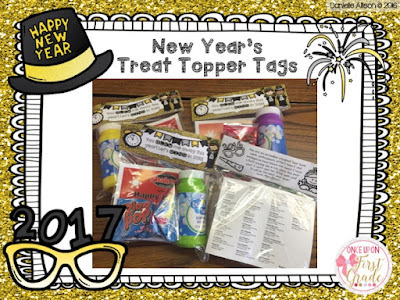 The second is a treat topper tag FREEBIE you can give as an end of the year/beginning of the new year gift to your students. All you need to do is cut it out and attach to a ziploc baggie (either snack or sandwich depending on what you decide to put in it). You can fill them with blow pops, ring pops, and/or bubbles. I also happened to have a free restaurant coupon last year so I added that in as well! Grab them in my TPT store HERE. Hope you find these two freebies useful!! 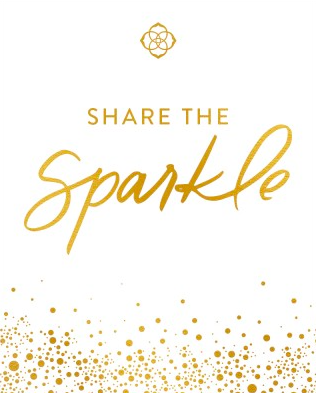 To continue to share the sparkle, enter the Rafflecopter below to win a $25 Kendra Scott gift card!!! 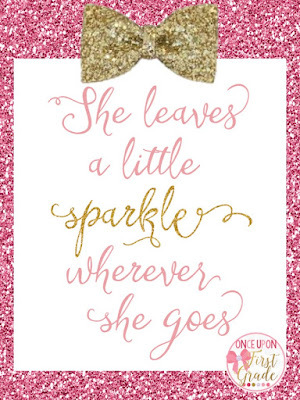 Keep sparkling, teacher friends!!! Happy holidays!! Thank you for reminding us of all the wonderful reasons to be thankful. Your freebies definitely sparkle - love them! So cute! Definitely using these frames. I am thankful you are part of this blog hop and shared such a cute idea to bring in 2017 in style!! They will make the cutest gifts for students to give ot their parents. thanks for sharing!